Original Antique Furniture (OAF) exists since 2002 and is a cabinet-making and painting-finishing company which has specialized in the restoration and trade of antique furniture, especially from the Art Déco- und Bauhaus-Epochs. Through the years, OAF brought its complete restoration- and production process to perfection and does all restorations and refinements in our own facility in Senden, Germany, so we can offer our furniture finishings in an exceptional quality. 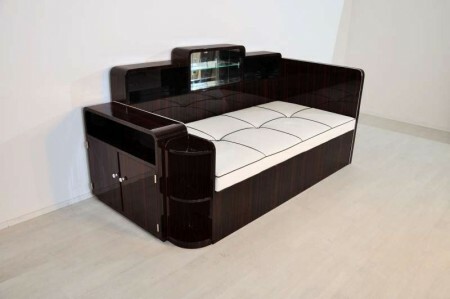 Also, since we directly sell our furniture through this website to the end consumer, leaving out the middle man (antique resellers) and without using expensive presentation space, we are able to maintain a low price level for our funiture. 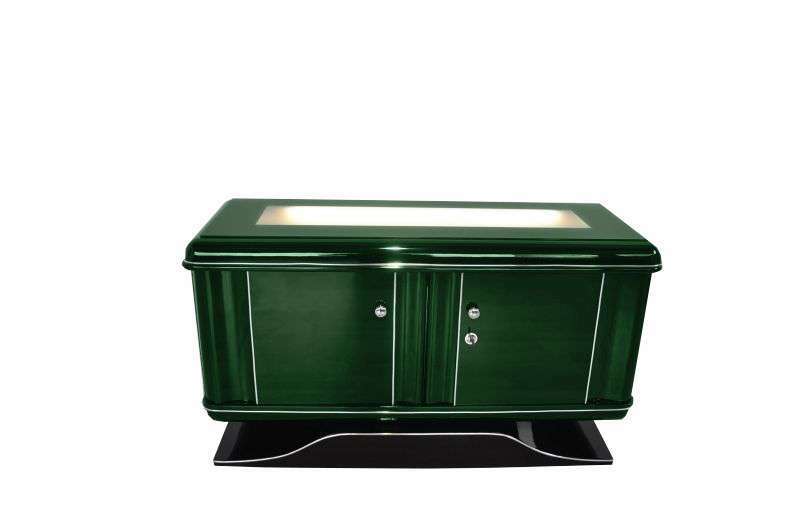 Illuminated Art Deco Commode Jaguar Racing Green. This highgloss color in combination with the illuminated glasplate is an absolute eyecatcher in every room! Wonderful Art Deco Lowboard with a great color combination. Illuminated topplate and an elegant body. Wonderful Art Deco sideboard with illuminated interior. This french masterpiece is distinguished by its great shaped doors and the handpolished surfaces. 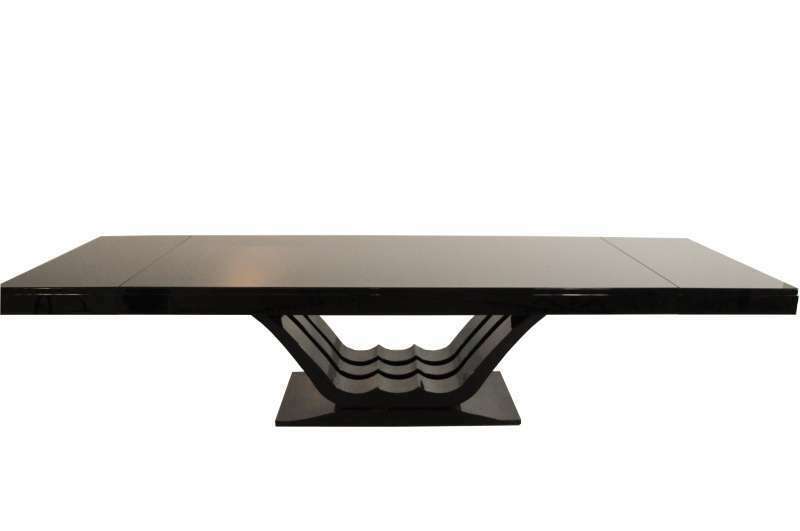 Wonderful Art Deco Style dining table with highgloss piano lacquer. It offers a unique design with a beautifully carved foot and an amazing mirror finish. The top plate is covered with rounded lacobel galss to protect the table from damage and make it usuable in everyday live. With two extension plates to offer a total length of 350cm (138″). A stunning piece of furniture build in germany with only the heighest quality standards. 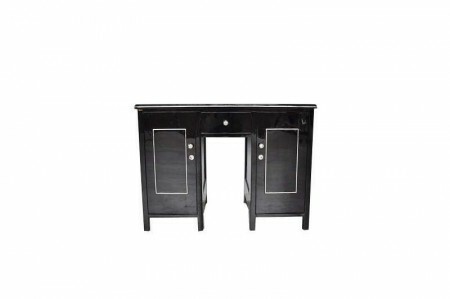 Rare Art Deco bar cabinet rounded compartements on the sides – for your glasses and bottles. 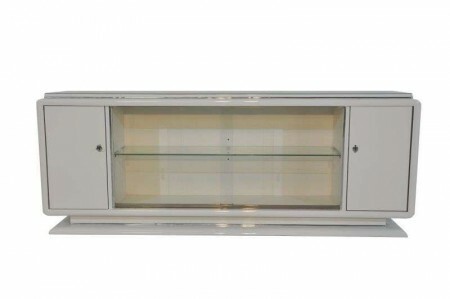 Extravagant design and highgloss design combine to a great bar cabinet! 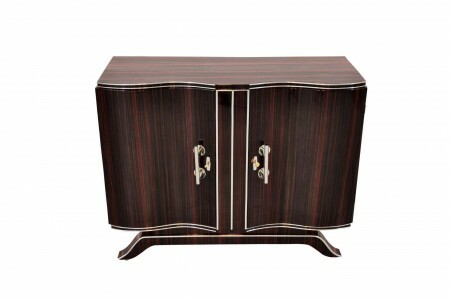 Petite Art Deco commode with a great walnut veneer. The special features of this singlepiece are the beautiful hutch, the serving plate with walnut wood and the curve foo with pianolacquer. Second piece out of a pair. Veneer picture may vary slightly. 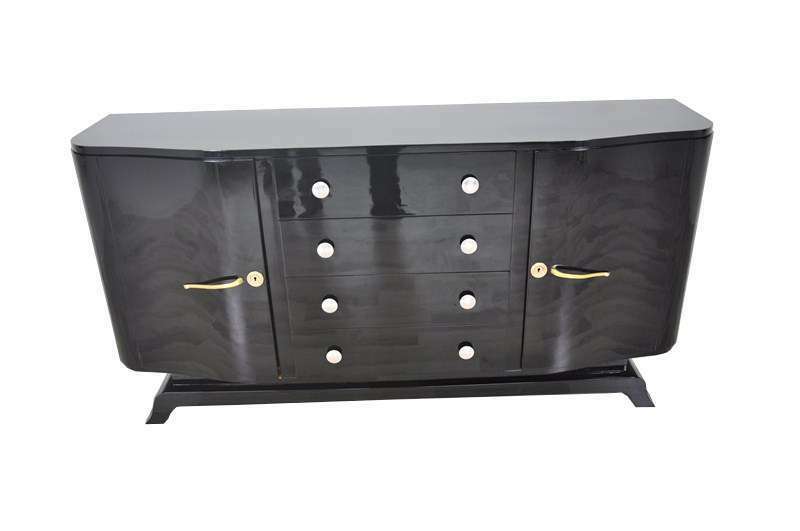 Extra large Art Deco Sideboard with a extraordinary body shape. The rounded corners and the unique crafted details charaterize this masterpiece. The fine chromelines and the straight foot complement the beautiful design. 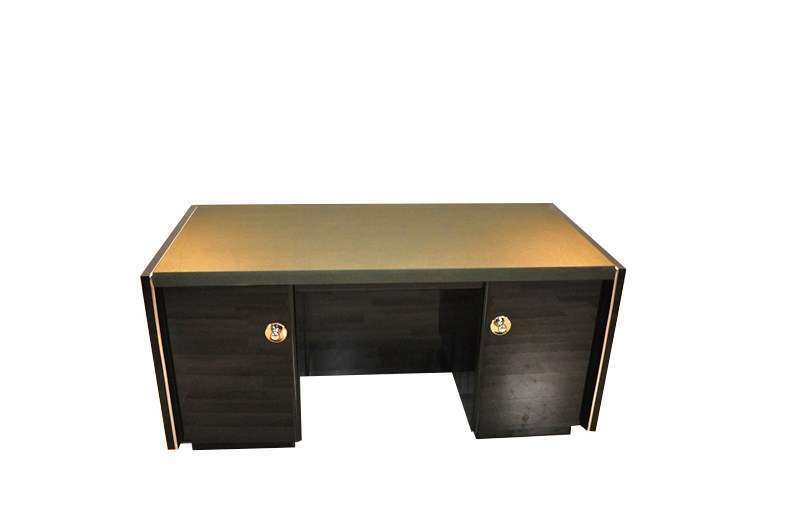 This desk offers a big, jaguar green leatherplate and a straight design. It is usable from both sides. 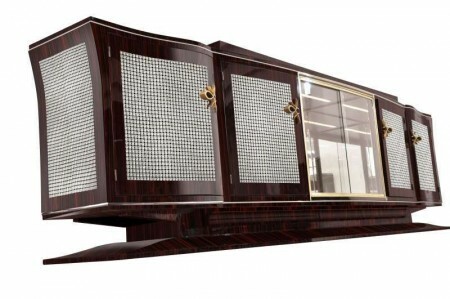 - unique furniture – absolute eyecatching! 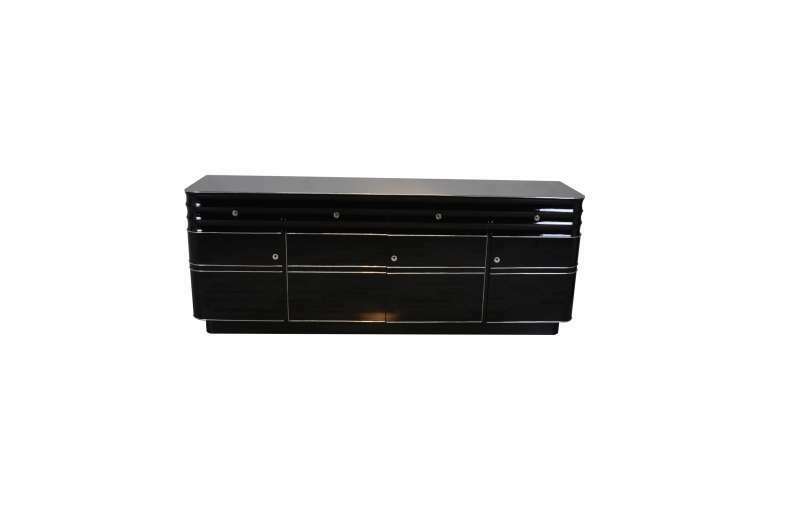 This Sideboard from Belgium with a width of 210cm offers plenty of storage space. Two of these were build by a joiner from bruxelles at the end of the 1920s. We refurbished this woderful furniture in 2014 and added the big chromehandles. 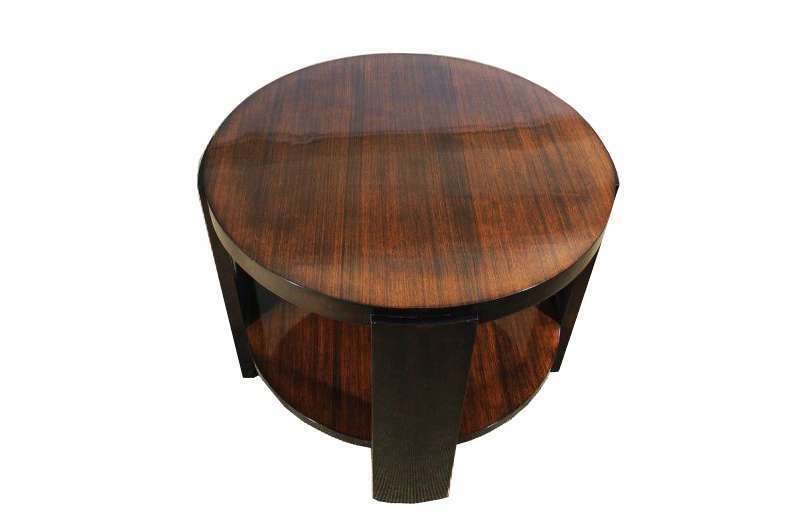 This gorgeous coffe or side table offers a Classic Art Deco design and a beautiful combination of zebrano and mahogany wood. Usable in every living enviroment. The hand polished surface is refined with high quality high gloss lacquer for a perfect finish! - costly restored by hand. 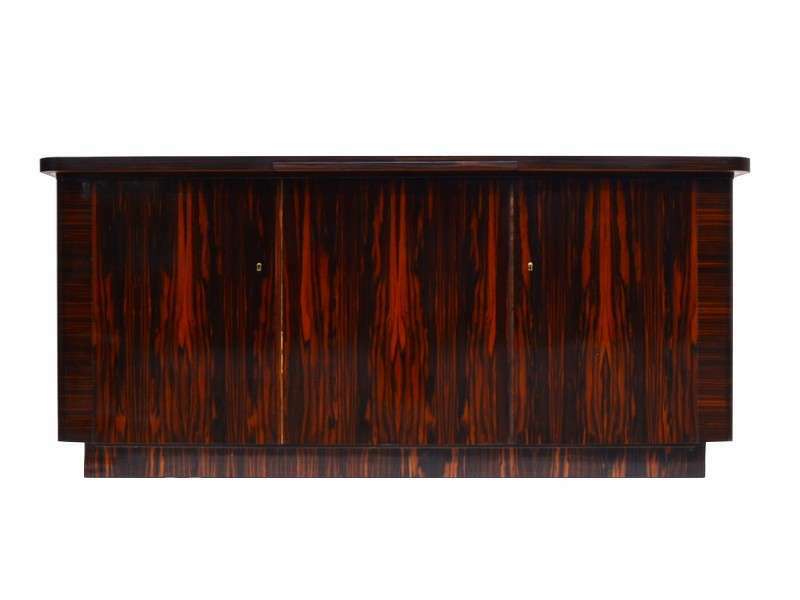 Unique Art Deco Sideboard Atlantic from Hamburg. Painted in highgloss black. French Art Deco highboard or commode from the 1930s. 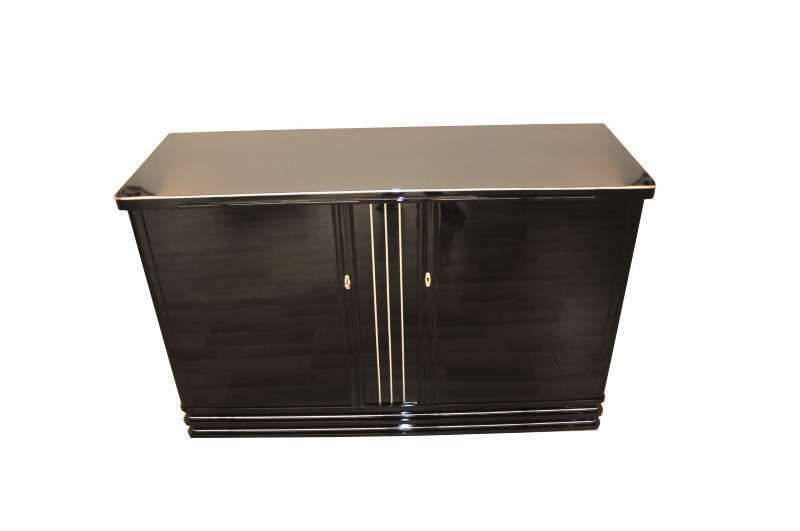 Great piece of furniture costly restored with high quality piano lacquer. Body and doors complety lacquerd in black and refined with chromebars. Great rosewood sideboard or buffet from france. 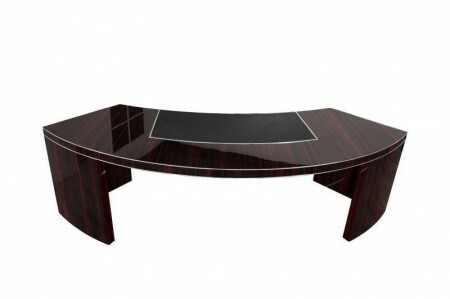 This original piece convinces with its elegnat rosewood veneer and black highgloss lacquer. A masterpiece of the craftmanship of the 1930s! 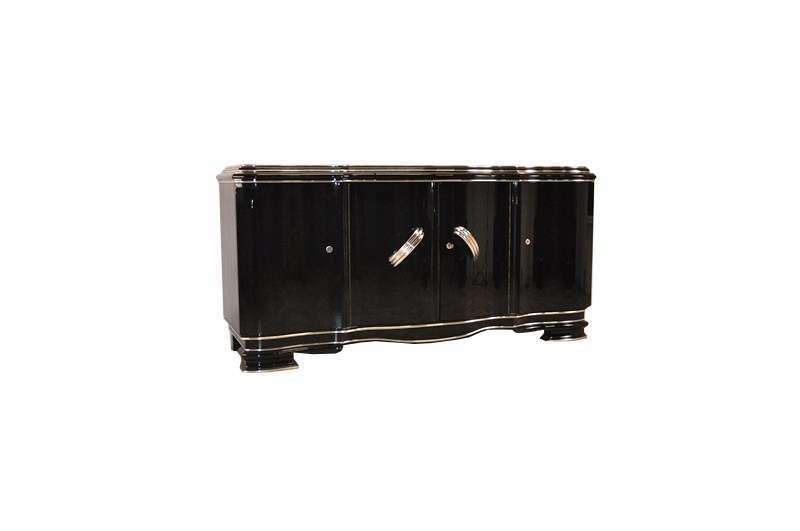 Luxurios Art Deco commode refined with high quality pianolacquer. 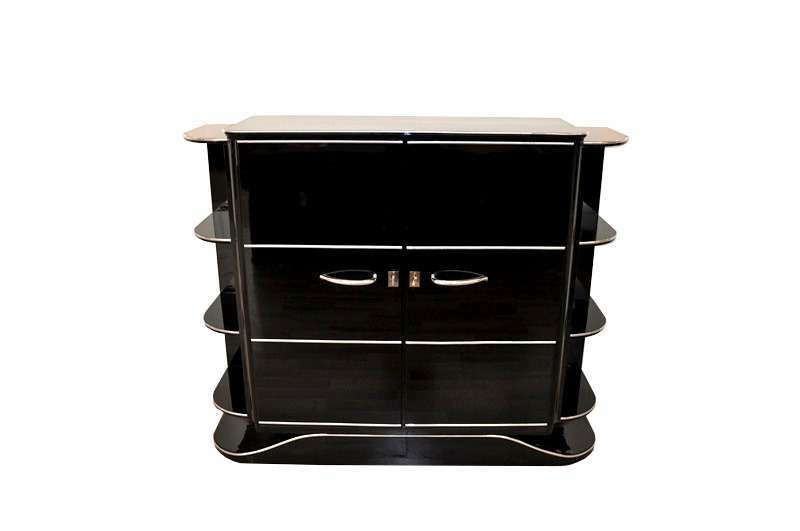 The front convinces with beautiful chrome handles while you will find fine walnut details on the rounded corners. Art Deco Buffet or Sideboard made of palisander wood, Paris around 1920. Body with a wonderful grain and two big doors. An absolute single piece with a lot of character!